Since this is the music post and since it is so close to Halloween; I have decided to share music I like that has the theme “dark” in it or around it. I was inspired by Morticia Addams as I watched The Addams Family. Enjoy! I have a lot of people visiting me or the last couple of months and all of them have been to Portland before with me so naturally they have all experienced my tried & true favorites. Now I have 5 more food and places to add to the ever-growing list. La Provence: Small plates and small desserts. A great place to have a conversation with friends. Koi Fusion: Can we say Korean tacos?! Toadstool Cupcakes: The little cupcakes are soooo cute and pretty tasty as well. HK Café: The place to go for a plethora of Asian food options including the ones that you only get when in those countries. The Fireside: A great cozy place that you can chat with friends at and watch all the foot traffic on 23rd Avenue. Collage: This is the greatest little store of craft and art supplies I have ever seen! Monticello Antique Marketplace: This place is huge and what I love the most about them; they have a ton of furniture and other big items to pick through. The Iron Gate Cottage: A great little place to just peruse on a rainy afternoon. Lee Farms: This is right by my house and is a great place for a last-minute gift, produce, pumpkins, activities and of course, apple cider donuts! I’ll admit it. I am one of those people who reads self-help books and watches self-help videos. I don’t always take what is being said at face-value but I use it as a catalyst, a jumping-off point for my thoughts. 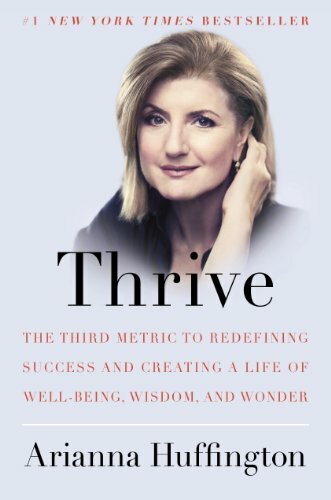 For instance, when I read Thrive by Arianna Huffington, I realized that I needed to be more adamant about the sleep I needed. I didn’t ever think about saying no to people purely for the reason that I needed to go to bed. I feel like we are all here to help other humans survive and thrive as well and that works best when we share our experiences and others can take the information and put it in the context that works best for them. So below are 5 books or videos that I have read/watched recently that helped me think about various goals that I am working on right now in my life. Marie Forleo: Here is a great video to introduce you to her. Tony Robbins: I don’t think much introduction is needed for him but here is a great video of him. 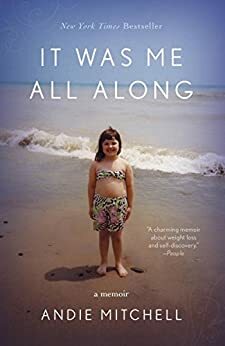 Arianna Huffington: I really liked her book. Andie Mitchell: She really knows how to say things in her book. Stephen Covey: A true pioneer in this area of thought. Yes, I have been a little busy but I am getting back to normal . . . slowly but surely. I hope everyone had a great September and so far an awesome October. Below is a list of the top 5 things I want to do during the month of October plus a few pictures of my travels. Enjoy! Cozy up in a blanket and watch a classic horror film. I am thinking Dracula! Take a walk down a trail littered in beautiful fall leaves. Eat a pumpkin scone with a hot tea. Watch the fog roll in on a misty day.